(OPride) — More than 130 people have been killed in the ongoing crackdown on Oromo protesters in Ethiopia. Thousands have been arrested in the past few weeks, including prominent Oromo opposition leader Bekele Gerba. (Gerba was released from prison at the end of March 2015 after serving nearly four years on trumped-up charges. “There are EPRDF representatives in Oromia, but not Oromo representatives in the EPRDF,” Gerba reportedly said shortly after his release, questioning the legitimacy of the Oromo associates in the Ethiopian People’s Revolutionary Democratic Front. It is a sentiment shared by the vast majority of Oromo people, who are now saying ‘enough’ to EPRDF’s two and a half decades rule. The Oromo people have never accepted the Oromo Peoples’ Democratic Organization (OPDO) as its genuine and legitimate representatives in the Tigrayan People’s Liberation Front (TPLF) dominated EPRDF coalition. The reason is obvious: OPDO is the brainchild of TPLF, created to translate TPLF’s hegemonic vision into Afaan Oromo. When the Derg regime’s collapse became imminent in the late 1980s, TPLF leaders realized that their Tigrayan liberation ideology would be a difficult sell in the southern parts of the country. In particular, it would be a big challenge to rule Oromia without having some mannequins that they could control in the central government. As Gebru Asrat, one of the TPLF founders, wrote in his book “Sovereignty and Democracy in Ethiopia” in 2014, TPLF initially approached the Oromo Liberation Front (OLF) seeking endorsement for their southward expedition. However, OLF rejected the proposal, perhaps due to the inherent arrogance in TPLF’s deal. 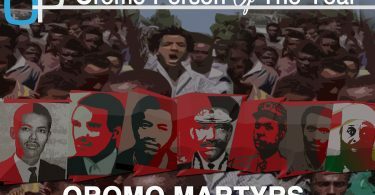 TPLF then created OPDO within a short period of time by assembling Oromo speaking prisoners of war and defectors from the Derg army. The list includes Abba Dula Gamada, Bacha Dabale, Kuma Damaksa, Ibrahim Malka and many others. These are the puppets that enabled TPLF to extend its control into Oromia. Two decades later, the OPDO still acts as a machine programmed to serve its investors, denying the Oromo genuine representatives. At no time in its more than 25 years of existence did the OPDO decide on its own fate let alone on crucial matters affecting the Oromo people. Take the decision in 2003 to change the seat of Oromia regional state from Finfinne to Adama. It was a contentious subject similar to the recent protests triggered by the Addis Ababa Master Plan. The OPDO initially insisted that the decision was meant to ensure the development of Oromo culture and language in a city directly answerable to the Oromia state since Finfinne is a chartered city. But the OPDO officials never questioned their TPLF bosses why the constitutional promise that entitled Oromia to special privileges from the capital was not realized. They never explained why Oromos could not develop their culture and language in Finfinne, a native Oromo land. In the wake of the disputed 2005 elections, about a year after withdrawal from Finfinne, TPLF leaders ordered the OPDO to move back without any precondition. This was done in part because the Coalition for Unity and Democracy (CUD) won a landslide victory in Addis Ababa. TPLF bosses were not pleased by the huge loss in the capital. They did not want the CUD to take over the administration even if the later was ready to assume the municipal power. Therefore, they designed some stumbling blocks to rebuff the adversarial CUD from running the city. Some of the schemes were shifting powers of the city police, revenue bureau and land administration to the federal government. The other tactic was bringing Oromia’s capital back to Finfinne in order keep the CUD busy in continuous disputes with the OPDO, which the TPLF directly controls. In fact, it was a spontaneous and embarrassing fold back for the OPDO. The rush to move to Adama caused an unspeakable mess to Oromia’s bureaucracy. More than 300 Oromo students were dismissed from Addis Ababa University on a single day for opposing the move. The leaders and supporters of the Macha and Tulama Association were beaten up and jailed without due process of law; many Oromos were tortured, and some remained imprisoned. Unsurprisingly, no guarantees were put in place to ensure that the Oromo culture and language will be developed in Finfinne when the regime canceled the move to Adama. TPLF is once again trying to spin-doctor the OPDO to consolidate its hegemony over Oromia. It is using the media under its control — EBC, FBC, OTV and affiliated outlets such as Zami Connections and the social media — for this purpose. Recently, Abba Dula Gamada, criticized Zami FM’s Mimi Sebhatu for undermining public uproar against the Addis Ababa Master Plan. He even suggested that the Master Plan could be revoked if it fails to win public consent. This is an attempt to create an impression that the OPDOs can decide on issues pertinent to Oromia. There are also media reports that OPDO members challenged TPLF to withdraw its troops from Oromia. True, ordinary members may express concerns about the appalling situation at their dooryards. The problem is that top-level OPDOs can never dare to tell their masters what is wrong and what is right. To be fair, low-level OPDO members do resent their lot and occasionally say things that annoy their masters. For example, some OPDO members in the regional parliament have recently criticized the killings of peaceful protesters by heavily armed security forces. They were heard even condemning the fact that the soldiers who were firing live ammunitions on the protesters were totally alien to the local people and couldn’t communicate in Afan Oromo to hear public grievances. They also said the regional government could have controlled any potential irregularities if the protesters went beyond legal limits. This is tangible evidence that TPLF is not in good terms with the majority of the OPDO members. 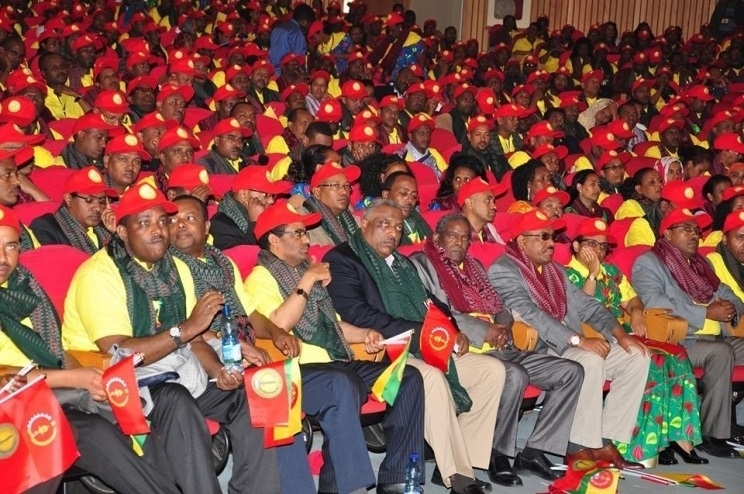 However, this is not the first time that OPDOs challenged the TPLF’s hegemonic imposition. When Abba Dula was transferred from Oromia presidency to federal parliament as a house speaker, it was not in the interest of OPDOs. They protested to have him as a president for the second time. But the ruling was in the interest of the masters. When the Addis Master Plan issue was scheduled for execution in 2014, the OPDO members resisted it and supported the mass protest that resulted in the loss of many lives. Yet, they couldn’t stop the master plan from resurfacing again. The problem is that the rank and file members are not in a position to change the situation. We have heard the grievances of lower-ranking OPDO members. However, the regional parliament and OPDO’s central committee have not condemned the atrocities. They have not issued a proclamation postponing or canceling the so-called integrated urban development plan. Most importantly, the Chaffee didn’t task the OPDO executives to present their discontents to federal authorities. 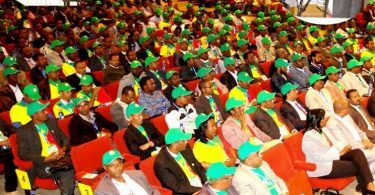 The bitterness of OPDO members at the middle and bottom levels is a promising gesture: they are realizing the injustices being committed against their people. However, it is no more than everyday resentment unless put into a meaningful action. They must be able to say no and hold their top leaders accountable. They should know that top cronies are helping TPLF renew its hegemony over Oromia. The writer, Tullu Liban, is a journalist and academic based in Canada. He can be reached at libantullu@gmail.com.